Having just returned from a month-long safari with his wife Anjali and six-year-old twins, the author, conservationist and entrepreneur transports us into a beautiful world seemingly from another time. 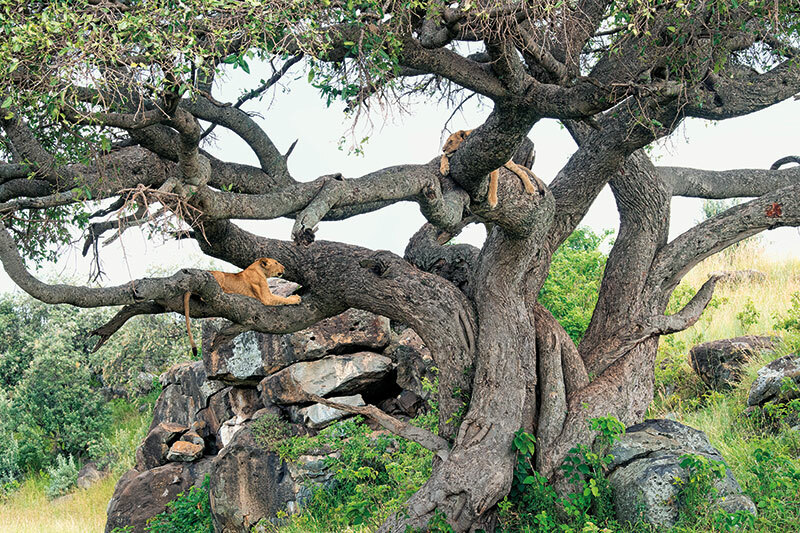 The wilds of Africa ignite a primordial passion. A homecoming of sorts that has inspired and captivated not just the likes of Hemingway, Markham and Karen Blixen — whose romantic, dramatised memoir Out of Africa is a must see classic — but many a lesser mortal too. Africa’s magnetic draw has worked its primal powers on me for about a quarter of a century, from the moment I set foot there on my maiden international polo tour with the Rajasthan and Jodhpur teams in 1995. Each year sees me in Africa multiple times. From quick, weekend-long safaris to much longer ones, like the one this summer — a month living under canvas with my family and other animals! Devoid of walls and fences, hooting cars and pollution, and all those other horrid things that have come to characterise an archetypal urban existence. It was Baroness Blixen who said that you know you’re truly alive when you’re living among lions. And, living among them we were. 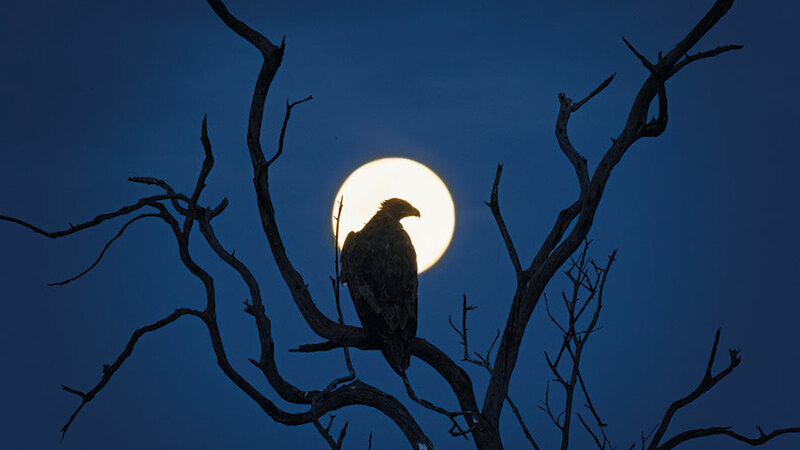 As well as among a plethora of other creatures, small and large, nocturnal and diurnal, predator and prey, endangered and not so endangered, which evoked a similar thought; one knows one is truly alive when living among wildlife. As our light aircraft descended into Kenya’s Masai Mara, giving us a bird’s-eye view of one of the most exceptional ecosystems on earth, we spotted herds of elephants and Cape buffalo from the air, and even lions — our safari had begun before we touched down on the murram strip of the Mara North Conservancy. The landing was a special one for us; it was the first time that our six-year-old twins would set foot in this wild mosaic. The Mara North is a colossal conservation tourism initiative spearheaded almost a decade ago by Stefano Cheli, a charismatic Kenyan of Italian descent. In what was nothing short of a gargantuan effort, Cheli and his colleagues convinced approximately 800 local Masai landowners to lease out almost 80,000 acres to form a conservancy for wildlife to flourish. The Mara was verdant. The long rains, the after-effects of which were still lingering in the form of an occasional, mesmerising thunderstorm, had rejuvenated it. The red-oat grass was lush, the acacias healthy, and the animals thriving. Especially so in the MNC which I had first seen in its infancy. In a very short span of eight years it has become among the most cohesive conservancies on the planet, one benefitting local communities and wildlife, and at the same time giving travellers from around the globe a superb safari experience. Our home in the Masai Mara, Elephant Pepper Camp, was originally Stefano and his wife Liz’s ‘mobile safari’ camp that my company, SUJÁN, partnered with in 2011. 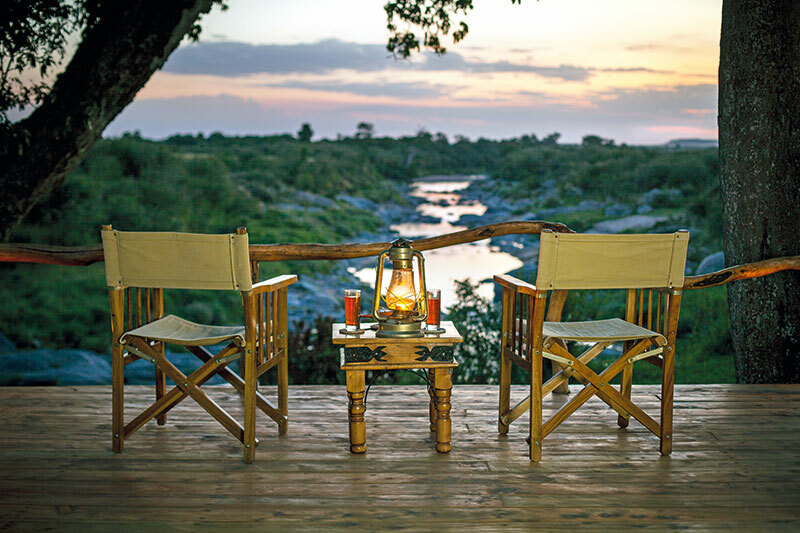 The first of 12 camps and lodges within the conservancy, it evokes the romance of the safaris of yore, albeit with modern luxuries and comforts like running hot water and flushing loos. Ten tents are discreetly tucked away among a grove of trees, and kitted out with elegant Edwardian furniture and equipage, staffed by a charming, committed team of locals and, of course with delicious home-style food on the table. You almost expect Finch Hatton to appear at dusk after a day out in the bush, brush himself down and settle around the campfire, crystal tumbler in hand, ready to unleash his renowned, inimitable charm on all those around. 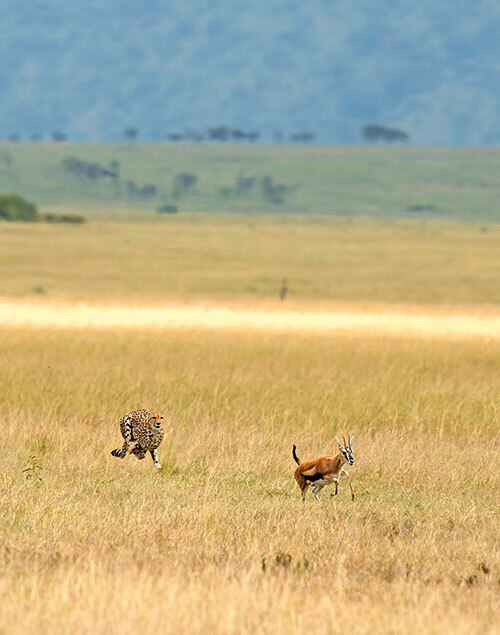 Now run by Elewana, wildlife still comes first. There are no fences, the electricity is solar, the sky is phenomenal, as are the sensational sounds of the night. The guides, among the most sensitive and knowledgeable in the Mara, are armed with the appropriate qualifications, and most of them have been there for many years. Francis and George, in particular, are among the best in the business. With exceptional eyesight and experience, they found us an astounding array of animals, putting us in prime position sighting after sighting. Hunting, mating, suckling, fighting — we saw it all; the bar was set pretty high in the first five days of our safari. One morning, after clicking a cheetah charge at full pelt — successfully bringing down a gazelle, photographing pachyderms grazing peacefully and watching lions lounging on a tree, we thought the morning couldn’t get any better. But, we found ourselves surprised with a scrumptious breakfast laid out under an acacia. With that unmissable aroma of bacon grilling on a barbecue, and eggs being fried, poached or scrambled with a view of the wide-open, seemingly endless spaces that one gets in east Africa, it was the proverbial cherry on a rather delicious cake. After many a panthera, much pampering by the delightful duo of managers Alison and Tom, sumptuous al fresco dinners under a breathtaking canopy of stars, listening to lions roaring in the distance, exchanging stories around the campfire, and having taken thousands of photographs, the time to leave Elephant Pepper Camp had sadly arrived. We weren’t leaving Africa in a hurry, however. 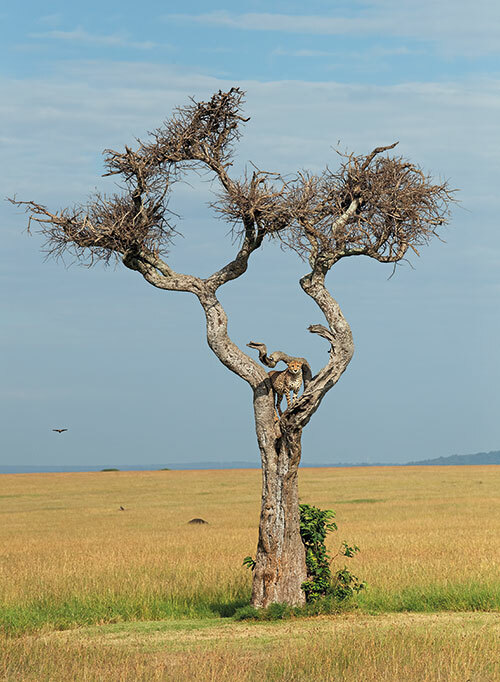 The mosaic that is the Mara means one ought to explore different bits of it. Each has its own character and charm, prides and prejudices. Be it the National Reserve (managed by the provincial county council) or The Naboisho Conservancy, Olare Motorogi or the Trans Mara. 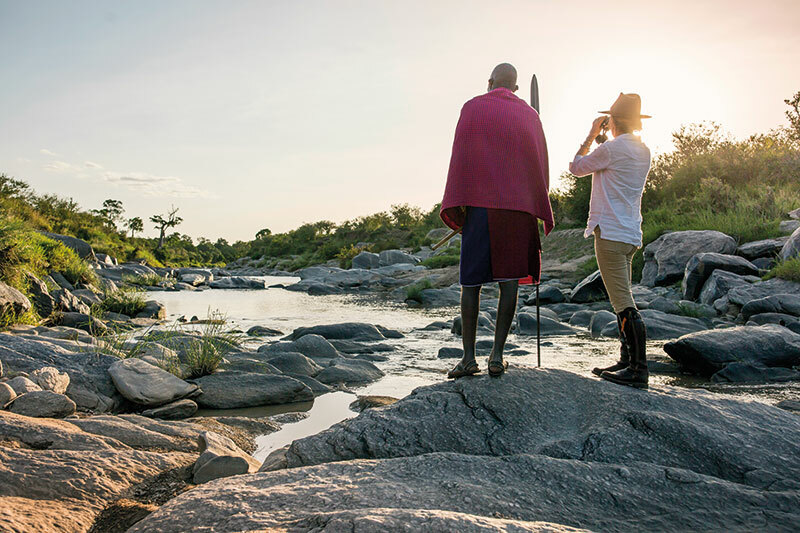 In the beating heart of the Masai Mara National Reserve, on the banks of the Talek River, lies Rekero Camp. Started by the Beaton family, and now managed by Asilia Africa, (which runs an excellent collection of camps and lodges in east Africa), it is the place to be during the great wildebeest migration. The camp’s location is the equivalent of sitting on the balcony of the member’s pavilion at Lord’s watching a nail-biting game. Everything is happening around you — nature constantly in motion; crossings with humongous Nile crocodiles snapping their powerful jaws hoping to snare a gnu or two, lions and leopards lying in ambush on the banks of the river waiting for the herds, and even the main Mara river crossing is just a short drive away. However, Asilia’s best-kept secret in Kenya is Naboisho Camp — a beautifully designed, excellently run, luxurious permanent camp at the edge of an acacia woodland. The 250 square kilometres that make up this young conservancy offers much more than just the usual game drives. Here you can go on a walking safari with the redoubtable Ranger Roelof, visit The Maa Trust (a Masai women’s co-op) with his wife Helen who is also responsible for the company’s local philanthropy, devour Andrea’s special Pork Belly with crackling that would put many a starred restaurant to shame, and be entertained by her husband Richard, an experienced ranger himself, by the campfire. A team second to none.